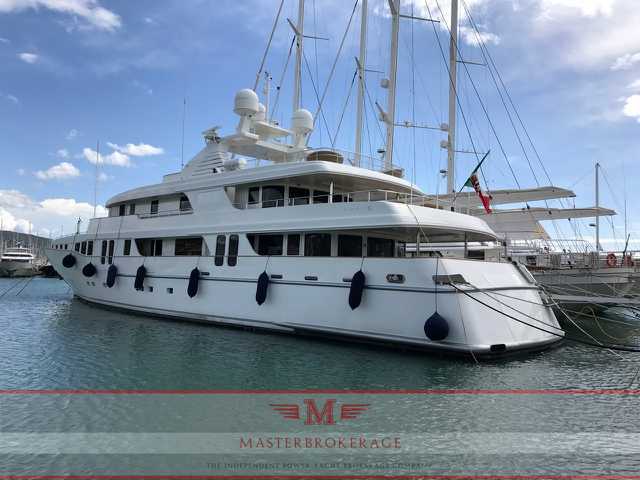 The 44 meters custom Motor yacht was built by Baglietto in Italy at their La Spezia shipyard , she was delivered to her owner in 2001 and last refitted in 2011. Ruggiero srl is responsible for her beautiful exterior and interior design. The interior configuration has been designed to comfortably accommodate up to 12 guests overnight in 6 cabins, comprising a master suite, 3 double cabins and 2 twin cabins. She is also capable of carrying up to 11 crew onboard to ensure a relaxed luxury yacht experience.